Poway is a city in San Diego whose rural roots made it also known as ‘The City in the Country’. It has a population of around 47,000 residents. It boasts beautiful green spaces such as the Old Poway Park, Blue Sky Ecological Reserve, and Poway Community Park. Its residents enjoy outdoor recreational activities enabled by the pristine green environment. Being a well-off community, Poway is a place where many home renovation projects take place. Its residents enjoy the services of one of the leading San Diego design-build companies with over 40 years of experience – Murray Lampert Design, Build, Remodel. Kitchens are the focal point of nearly every home we work on. This is why many homeowners place kitchen remodels at the top of the list of remodeling projects, in order to make it more attractive, efficient and energy-saving. Murray Lampert Design, Build, Remodel offers unparalleled kitchen remodeling services in Poway and throughout San Diego County. A modern kitchen should be expanded so that it’s large enough to be both comfortable and functional. Out team can remodel your kitchen to make it look trendy and ensure it meets all your needs. We provide a vast range of services such as upgrading fixtures, refinishing the floor, installing new countertops or custom kitchen cabinets. The experience, knowledge, and reputation of our team are what you need to give your kitchen an efficient and attractive makeover. Since remodeling a kitchen in San Diego is a multi-trade project, it has to be handled by an experienced full-service firm. You can see our work all over Poway and the surrounding suburbs. You can rest assured that we will do a great job with faultless workmanship and best quality materials available in the remodeling and renovation market. A well-organized, efficient, and modern kitchen plays a significant role in getting a favorable offer from a potential buyer. If you’re considering flipping your property, kitchen remodels and room additions in Poway are some of the first renovation projects you should consider. You’re much more likely get an amazing return on your investment if you consult our remodeling experts on the best budgeting options. Each project begins with a consultation between a client and our architects and designers. This is essential because they need to fully understand what kind of kitchen remodel you want. 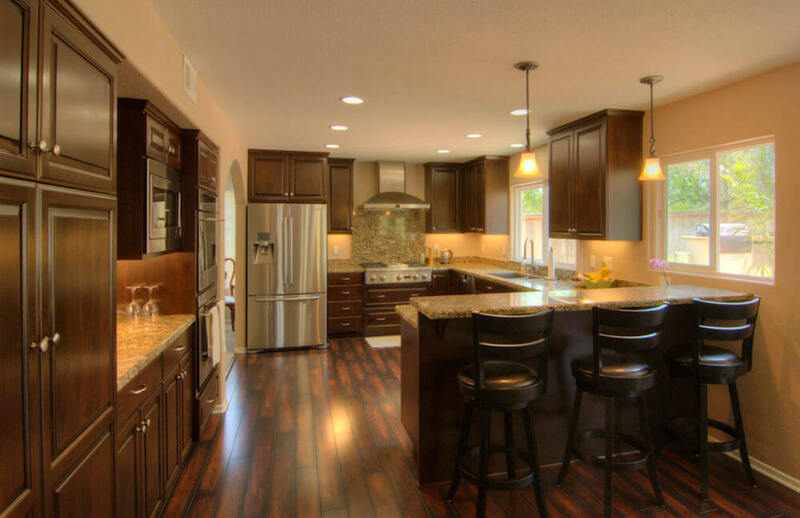 Our experts will give you accurate estimates and advise you on the best, most affordable products to use in your kitchen remodeling Poway project. Our professionalism, top-tier customer service and work ethics have been recognized and awarded by GuildQuality and Better Business Bureau. Our designers and architects use the latest computerized design system, which will enable you to actually see the end result of your project through 3D renderings and virtual walkthroughs. As a reputable Poway home remodeling firm, Murray Lampert will ensure that only quality work is done and you are thrilled with the result. We also provide a written 5-year warranty because we’re confident in the work we do. Contact us today for your free in-home consultation.